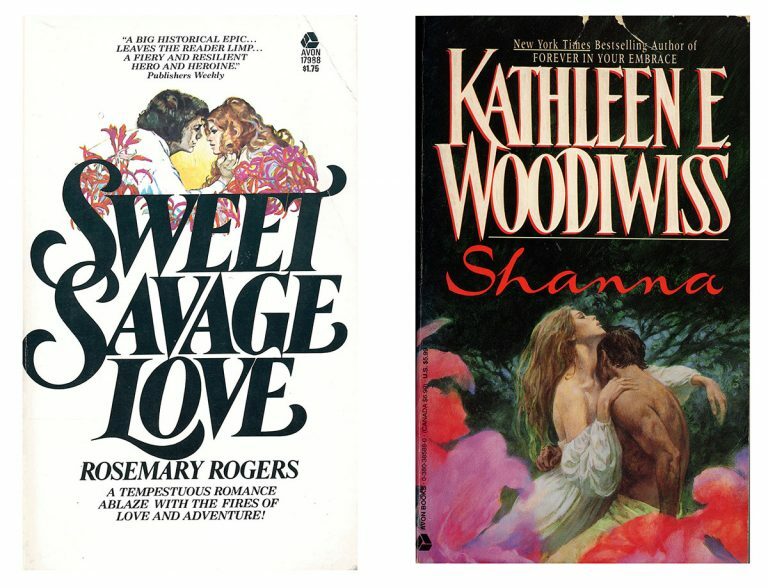 Two classic Avon romance titles, Sweet Savage Love by Rosemary Rogers (1974) and Shanna by Kathleen Woodiwiss (1977). 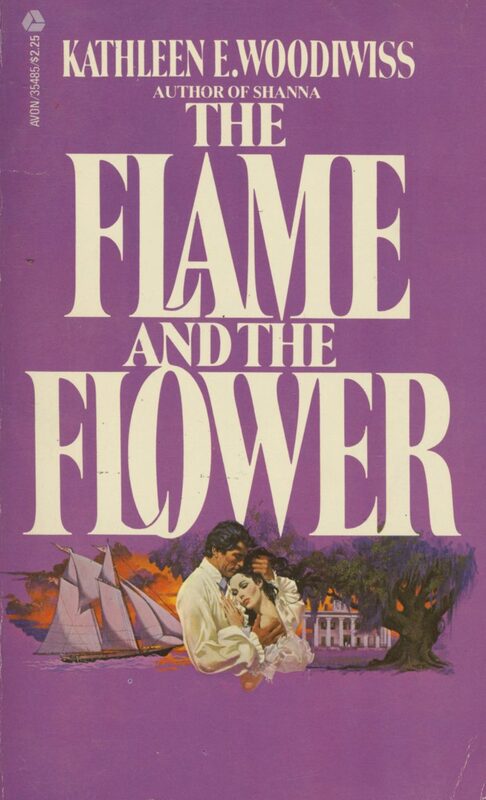 At the time of its publication in 1972, nothing like Kathleen Woodiwiss’s The Flame and the Flower had ever been published. 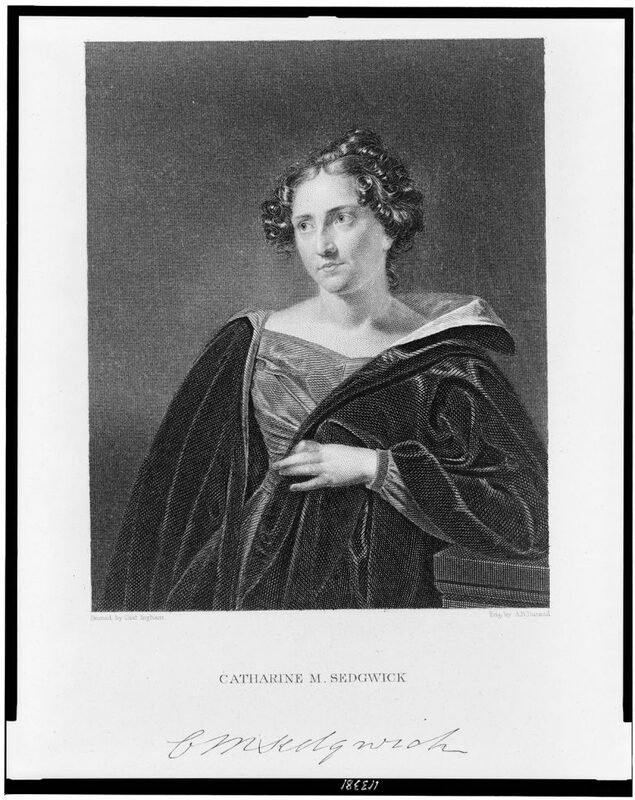 This historical romance’s strong female lead and sexual situations went a step beyond the tame romances of earlier eras. Avon’s Robert McGinnis created the iconic cover for the book, showing a man and a woman in full embrace, rather than the more subtly suggestive poses of the past. 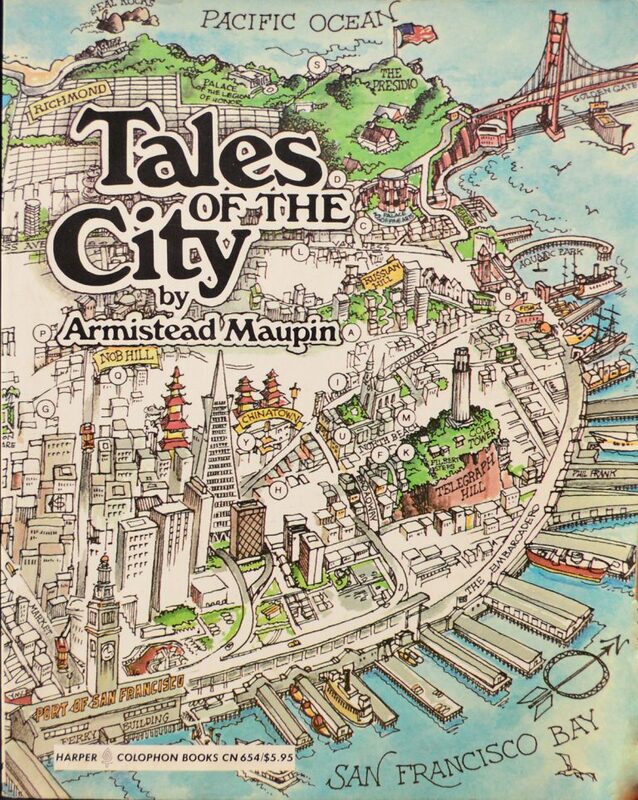 This now-iconic design launched the historical romance genre. 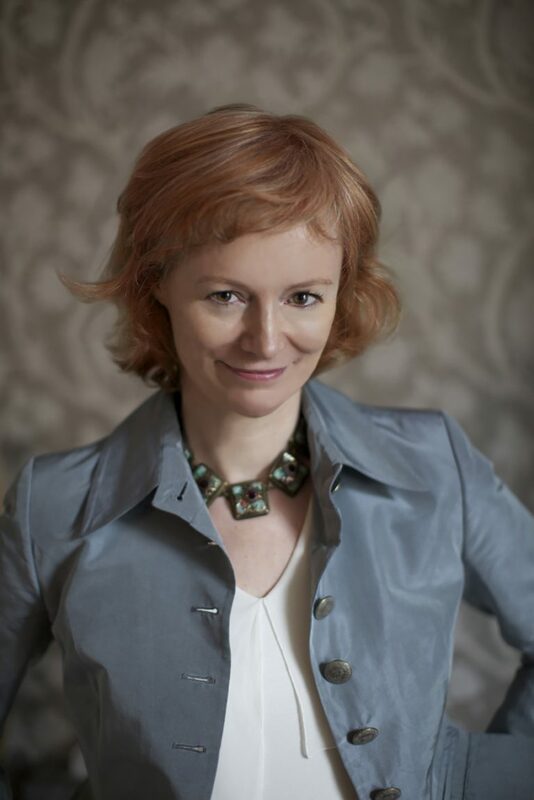 Avon followed with Rosemary Rogers’s even more sexually explicit Sweet Savage Love in 1974. 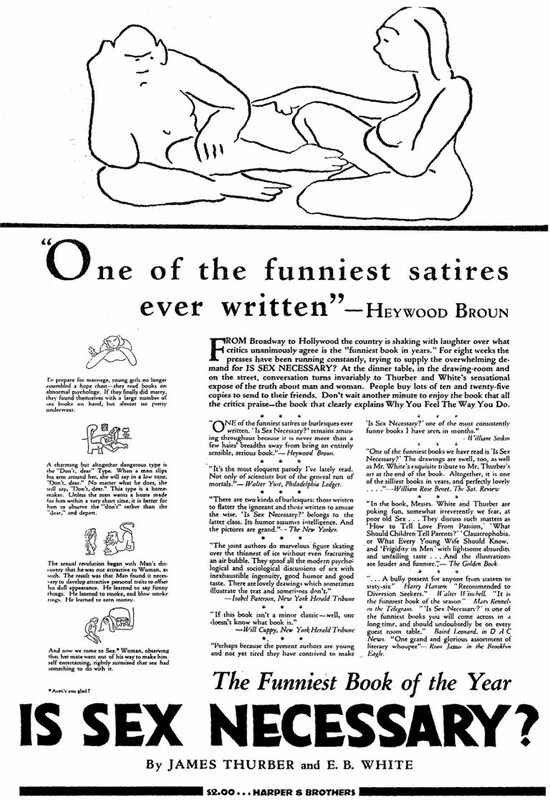 In 1977, Woodiwiss’s novel Shanna was released in trade paperback, boosted by 30-second TV spots and a cover designed by Barbara Bertoli, who had originated the iconic formula for the romance novel jacket: “flamboyant illustrations that swept across both covers, ornate and descriptive typography, and elegantly dressed heroines in the arms of partially unclad males.” This firmly established the historical romance genre in the paperback marketplace.